Community Acupuncture: What Is It? In many states in the US, acupuncture is an out of pocket expense for some people. When treating a chronic issue, effective treatment may require weekly visits for several months. This can be challenging for the monthly budget to handle. One way that acupuncture is used to address this challenge is Community Acupuncture. Community Acupuncture was created to make this medicine more accessible to everyone in our communities. Because of the reduced fee, this setting makes it more affordable and, because of the ability to treat multiple patients at the same time, it makes acupuncture more available. The cost is typically a sliding scale fee from $20 to $50. There are usually multiple comfortable lounge chairs in an open space for treatment. We have found that affording regular care without insurance coverage isn’t practical for many of our patients. In our practice in Montpelier and Williston, we’ve been providing group acupuncture one evening a week over the past five years. This occurs in the large waiting area with up to thirty people dropping in over those two evening hours. We wanted to provide treatment for more than four or five people in an hour. 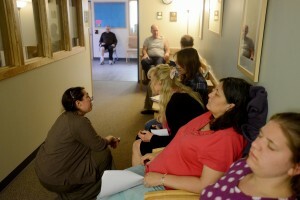 Group is similar to the Community Acupuncture model but it is more closely based on the model of group treatment based on Kerry’s experience with the Lincoln Recovery Center in NYC. This format was originally used to deal with heroin addiction and has been used since the 1970’s. The well-known protocol of five ear needles continues to be used throughout the world to help with addiction in general, for healing from trauma, anxiety, depression, insomnia, and pain. At our clinic, we use these ear points with each patient, along with other appropriate body points based on the patient’s needs. Because of the group setting, there is no disrobing and points may be used on the hands, arms, legs, feet, neck and head. The cost of this drop-in treatment is $10. A recent example of the effectiveness of group at Integrative Acupuncture is Jennifer K. Jen is a 48 year-old female who came for an initial individual treatment for her chronic daily heartburn. After this initial evaluation it became clear that stress was a factor in the cause of her symptoms. Part of her stress was financial, so I recognized that the cost of her treatment could actually impact its effectiveness. After becoming clear on her Chinese medical diagnosis from her initial visit, I recommended that she receive weekly group treatment. 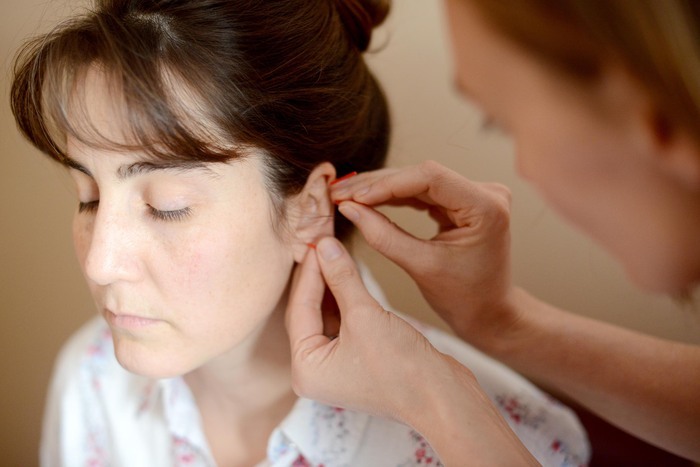 The ear points were chosen along with other accessible points to help Jen’s stress not impact her digestion as it had been. The group setting was also very calming for her, as there is softened light, soothing music, and a bunch of other people in a similarly calm state. With each week of treatment, she found her heartburn symptoms become less and less noticeable. After two months of weekly group acupuncture, Jen no longer had symptoms of heartburn and felt greater ease throughout the day. So why pay $75-$100 per treatment to see a practitioner individually when you can spend $10? Simply put, it is a different service that we provide for our individual treatments. 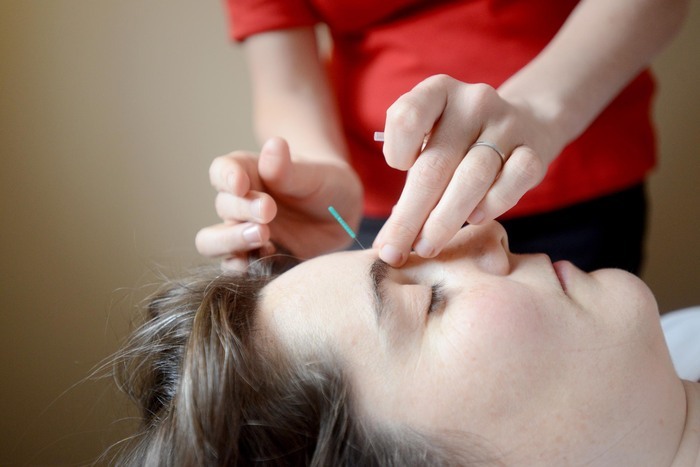 At group acupuncture, a provider spends approximately 5 minutes of time with each patient. During that time we quickly assess what the primary cause of the complaint is for that day. 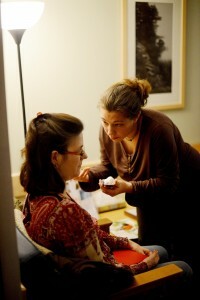 At our private sessions we can spend 35-55 minutes individually with a patient. We ask more in-depth and personal questions, we use traditional assessment skills such as looking at tongues and feeling pulses. We discover underlying causes of conditions and look more holistically at the whole system to discover how to best eliminate a condition and prevent it from returning. We have the time to provide herbal, dietary and exercise recommendations to instill lifestyle changes in our patients that may prevent their condition from returning and create overall wellness in their lives. We also have a bunch of procedures that we can use when we have a patient on a table in a private room that we can not use at Group Acupuncture, like cupping, moxibustion, gua sha and massage therapy. We wish we could provide this level of care to each and every patient we care for. Some patients invest in an initial individual treatment and then transition to group, knowing our providers have made an assessment and created a treatment plan. Other patients on weekly treatment plans commit to one individual treatment per month, and go to group acupuncture the other weeks of the month. How can we establish individual treatments for all of our patients? We can make create such accessibility through lobbying efforts and legislative changes. Many states in the US require all insurance companies to cover acupuncture care; unfortunately for our patients Vermont is not one of them. The care we provide creates little revenue for pharmaceutical industries and hospitals, therefore there is little lobbying work being done to establish acupuncture care for you. By the public demanding this natural alternative to drugs and surgery, it can be made accessible to you by your insurance coverage. 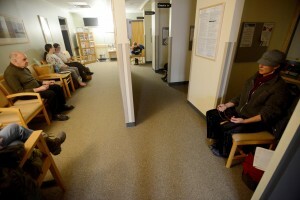 Non-discrimination in health care should be mandatory, as Vermont has regulated and licensed acupuncturists as health care providers for decades. It’s time for Vermont to insist insurance companies not discriminate in choosing health care services and health care providers. Find out more information about how to be part of this movement at www.vtaa.org, our Vermont Acupuncture Association and contact your local state representative to let them know you want acupuncture covered by your insurance policy. Both Community and Group Acupuncture make this medicine more accessible to everyone and can be just as effective as individualized treatment. We hope to see you at group in our clinic on a Thursday evening. We have been offering $10 acupuncture every Thursday for over 5 years at 156 Main St, Montpelier and Williston, Vermont. Find out more here.